Microsoft’s messaging for the Xbox One X is a textbook case of mixed signals. Microsoft has come out and properly revealed the Xbox One X née Scorpio. It is, true to its billing, a very impressive machine- in that regard, it absolutely lives up to the hype. Microsoft has made an immensely capable and powerful console, packed with the newest and most sophisticated standards, and it has delivered, as it promised, true 4K gaming on consoles. So far, so good. So what’s the problem? There are multiple. The biggest problem, the thorn in my side, and I have spoken about this at length before, is the price- at $499, the Xbox One X is prohibitively expensive, and it has priced itself out of the market. This is not just something I feel, it is also something that market analysts have stated. Microsoft, of course, maintains that the Xbox One X is meant to be targeted at a niche, as a premium console, and that it is not meant to be a mass market driver- but if I were to accept that, why were Microsoft pushing it as the reinvention of the Xbox brand? It makes no sense to do so with something that will not be front facing to the majority of the market. But let’s assume that Microsoft were just playing the hype game, and let’s just take them at their word so far. We have a $499 powerful console aimed at the extremely narrow niche of people who care about cutting edge technology but only want to play on consoles and not on PC, delivering them… games they can get on any other system, including, yes, PC and the regular Xbox One? But okay, these games will run in native 4K on the One X, so there is that. So given that, Microsoft is going after the people who want the shiniest possible graphics they can get without investing in a gaming PC. I get that. "At $499, the Xbox One X is prohibitively expensive, and it has priced itself out of the market." Except, nothing in the Xbox One X reveal appealed to that mindset. The reveal was largely centered around indie games, which are great! Independent games are among the best titles that are released on the market in any given year. But they are independent, because they are low budget- which means that as a general rule, they are graphically unimpressive (though of course, we have seen some indie game developers accomplish incredible things graphically and technology, often with far more constricted and limited resources). If you are trying to sell a $500 console on the promise of it being the most powerful one ever made, why would Microsoft focus on these games? Why not pull out the big guns that actually demonstrate and exhibit what the console is capable of? Microsoft brought out Forza Motorsport 7, which did look pretty good- but that was it. Sea of Thieves and State of Decay 2 are not the kinds of games you advertise the power of a console with, and the long thought to be Xbox One X killer app, Crackdown 3, looked distinctly underwhelming, with a mediocre artstyle, and technology that didn’t look anywhere near as impressive as it had been hyped up to be over the four years since the game has first been announced (and over which we have seen nothing of it). In fact, there were only two times that we got to see games that actually looked impressive in Microsoft’s reveal of the Xbox One X- Assassin’s Creed Origins and Anthem. But are you willing to spend $500 on an Xbox One X to play a handful of new games – and really, there are only a handful of them so far, the two I named may be the only ones that come to mind right away (big open worlds and AAA production) – to play games you already own in 4K? Where is the compelling content that looks so undeniably better on the Xbox One X that a tech and graphic enthusiast is compelled to part with, let me repeat it, $500, which is in no way a trivial amount, to spend money on the console? 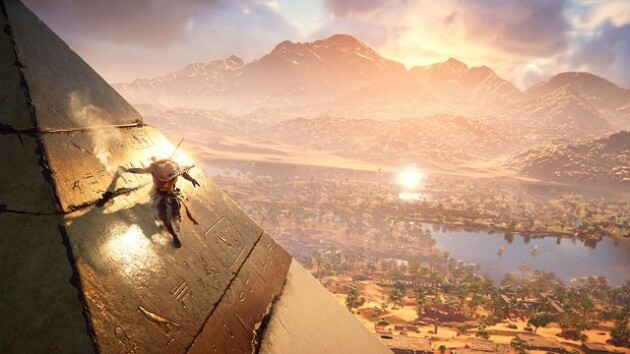 "In fact, there were only two times that we got to see games that actually looked impressive in Microsoft’s reveal of the Xbox One X- Assassin’s Creed Origins and Anthem. But are you willing to spend $500 on an Xbox One X to play a handful of new games?" 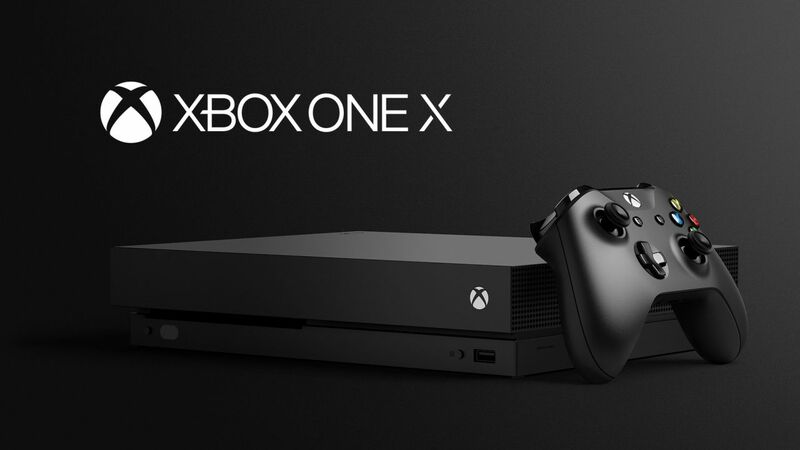 This comes back to the larger problem Microsoft has of not having a compelling first party to drive investment or confidence in its hardware- in this case, first party games could surely have demonstrated the appeal of the One X over the standard Xbox One. Forza 7 is the only game that sort of comes close to doing that, but Forza games always look exceptionally great to begin with, so there’s not much of a relative improvement. Seeing a Halo 6 in full 4K, and putting it side by side with Halo 5, or just seeing a brand new IP from Microsoft with cutting edge, and comparing it to all the games they have put on the Xbox One so far, may have instantly demonstrated the difference. But of course, that’s water under the bridge, now. To return to the larger point, the Xbox One X is an impressive piece of hardware for a shockingly high price that may be palatable if there were something on it that appealed to even the demographic that it is aiming for. As of right now, there does not seem to be anything of that sort in the pipeline that would reliably induce someone to part with $500. I don’t know what Microsoft is doing with the Xbox One X, or who they intend to target with this, or how they intend to do it- but they better have the answers to these questions ready, and soon. Launch is approaching.